NOVO provides custom automated equipment development as part of product development efforts and as a stand alone service. 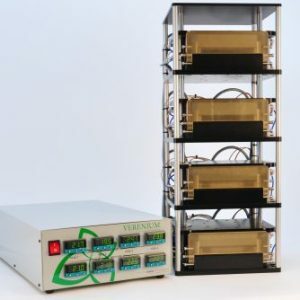 Custom equipment includes automated test equipment (ATE), lab automation, process automation, quality control jigs and fixtures, and specialized assembly automation. 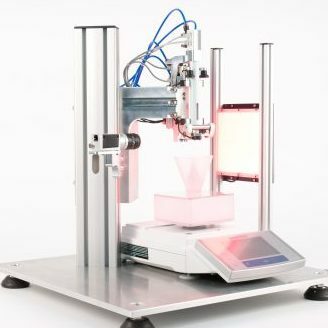 NOVO’s ability to develop automated manufacturing and quality control equipment in parallel with product development, and to establish a pilot manufacturing line with low-volume production capability alongside the product development effort, greatly reduces the uncertainties related to manufacturing transfer and scale-up. NOVO engineers with automation, machine design, and industrial controls experience will identify the appropriate system architecture for the application with consideration for the operator profile, use environment, machine guarding, reliability, serviceability, qualification requirements, configurability, and throughput. We then take advantage of our in-house CNC machine shop, electro-mechanical assembly technicians, programming, and procurement staff to bring custom machines online quickly. Custom equipment/custom automation projects are accompanied by a complete documentation package, BOM, schematics, and operating instructions. Factory and site acceptance testing, equipment qualification, and gage R&R studies are conducted as required.